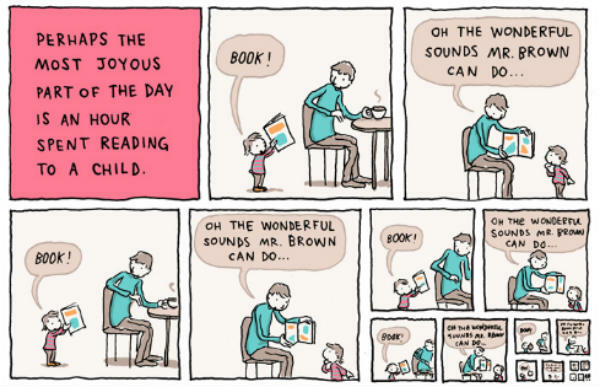 Here are some comics we think any parent will really identify with. 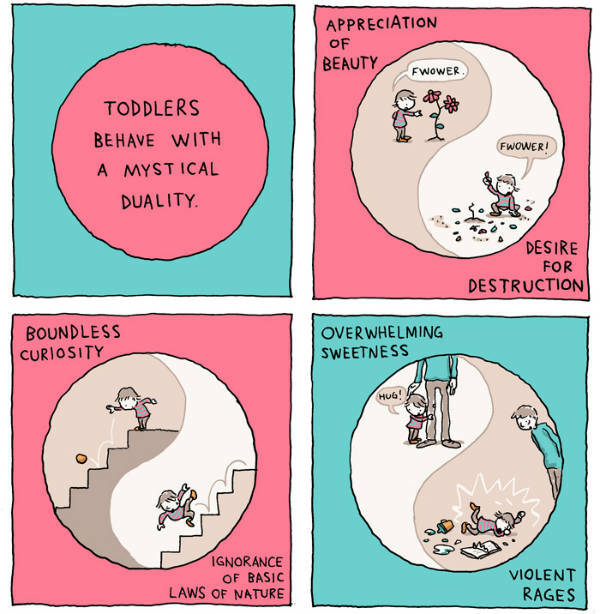 Dad-of-two Grant Snider’s drawings are inspired by his parenting experiences – and they are spot on. Kansas-based Snider has been drawing since university, when his comics were first published in a student newspaper. That eventually grew into his weekly webcomic, Incidental Comics. Daughter Anna was born 22 months ago, and they were joined by baby Trent four months ago. Parenthood has naturally become a big feature in his work. He released a special comic to mark a year of parenthood, a collection of seven drawings looking at life before and after a baby. “I keep a sketchbook that I fill with ideas and drawings, many of which turn into published comics. I’m inspired by books I read, old New Yorker cartoons, children’s picture book illustrations, art museums, and the strange moments of parenthood,” he tells Babyology. Snider says parenthood has even changed the way he works. “Like many parents, nap times are often spent frantically trying to finish a drawing (or other household chore). Being a dad has made me more focused and intentional when I do make time to work, and also had the healthy effect of separating play time from work time. I’m by no means perfect at doing this, but being present is something I’m constantly working on,” he says. 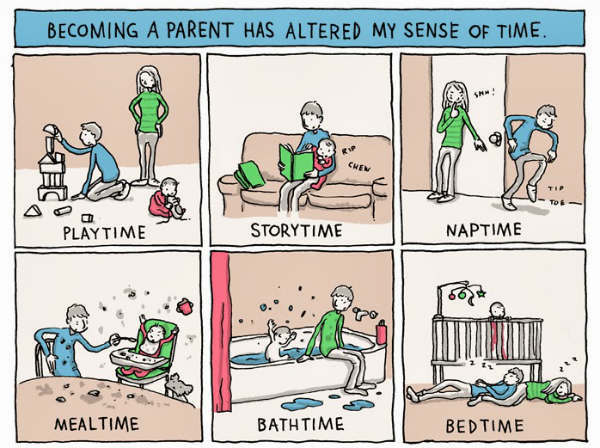 Another gem of a comic, released to celebrate US Father’s Day in June, explores life with a toddler – five drawings showing “the beautiful chaos of having an 18-month-old”. If your household is anything like mine, the one below in particular will be very familiar! 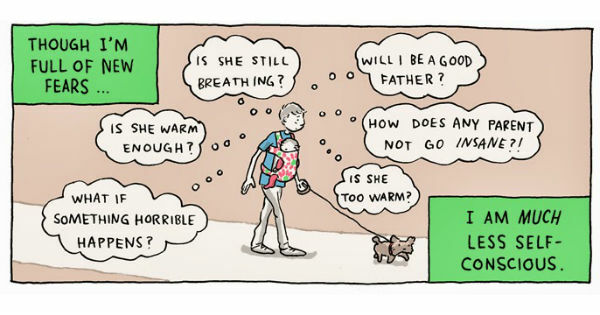 Check out more of Snider’s comics about parenthood, toddlers and babies at his Incidental Comics blog.